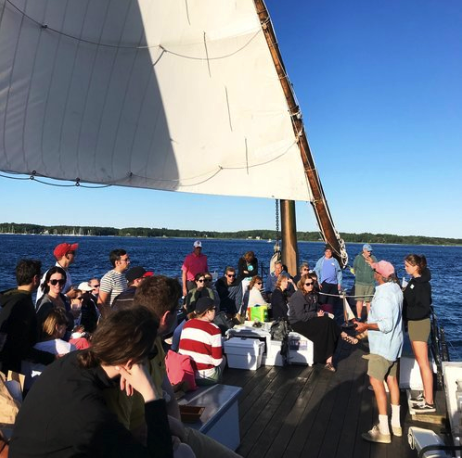 A Sunset Sail Aboard The Gundalow! If you’ve spent time in Portsmouth over the last seven years, you’ve probably seen an iconic sailing vessel with a brick-red bottom and large white sail known as the Gundalow. This historic barge was originally designed to carry freight and cargo, and was commonly spotted on shallow rivers throughout the seacoast from the 1600’s to the early 1900’s. In 2011, The Gundalow Company launched its first modern-day Gundalow. For the first time in history, the general public would now experience a unique part of the seacoast’s history by sea! 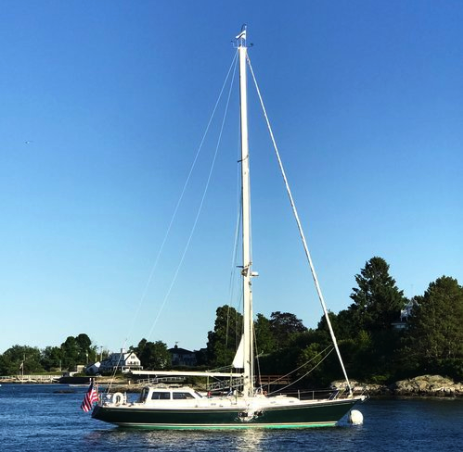 After years of anticipation, we set sail aboard this beautiful boat for a two-hour Sunset Sail last weekend. Did we like our first experience?? Try LOVED! 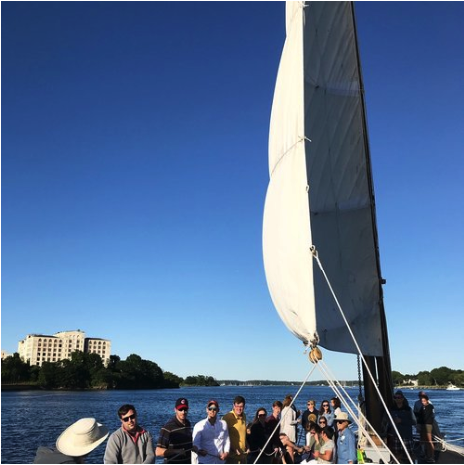 On our recent trip, the Gundalow sailed along the Piscataqua River from its launch spot at Prescott Park, to New Castle Beach and back. The views of the coast of New Hampshire and Maine were absolutely stunning! From 6:00 – 8:00 pm we drifted along as the ocean breezes cooled us off from a hot day, and the sun started to set. Once we pulled away from the dock, the crew let passengers hoist the sail! 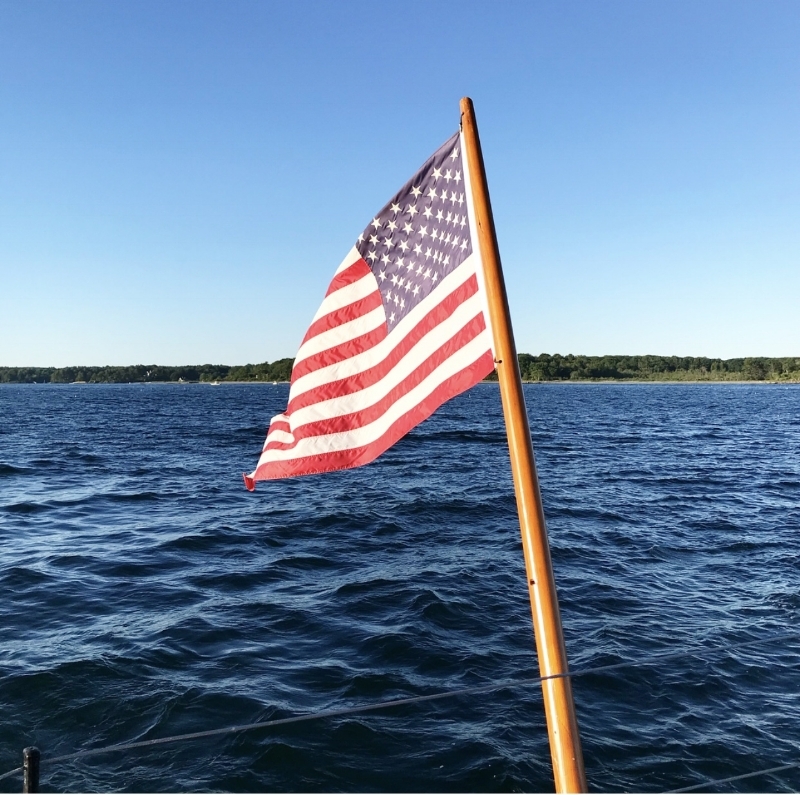 Mid-way through the sail, the crew talked to us about the history of The Gundalow, and the surrounding environment. As a history enthusiast, I was eager to learn more about a vessel I pass almost every day. 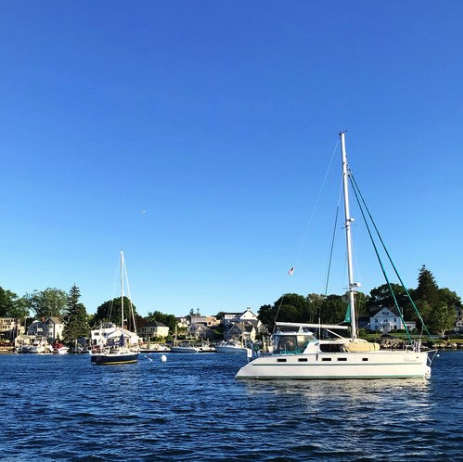 We loved passing and waving to many fellow boaters enjoying a Saturday evening on the seacoast! 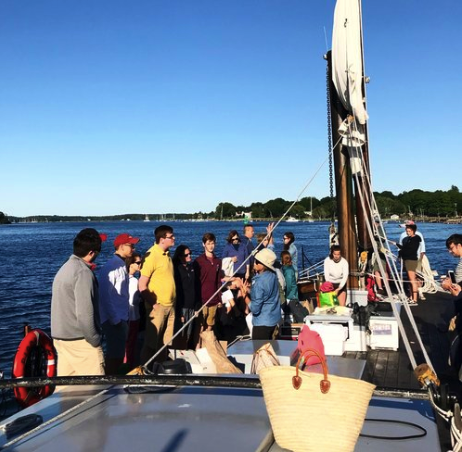 With a mission to protect the Piscataqua Region’s maritime heritage and environment through education and action, The Gundalow Company offers a variety of opportunities for locals and visitors to enjoy the and learn more about the seacoast’s history. Setting sail 7 days a week, explore the variety of sailing options that tickle your fancy! 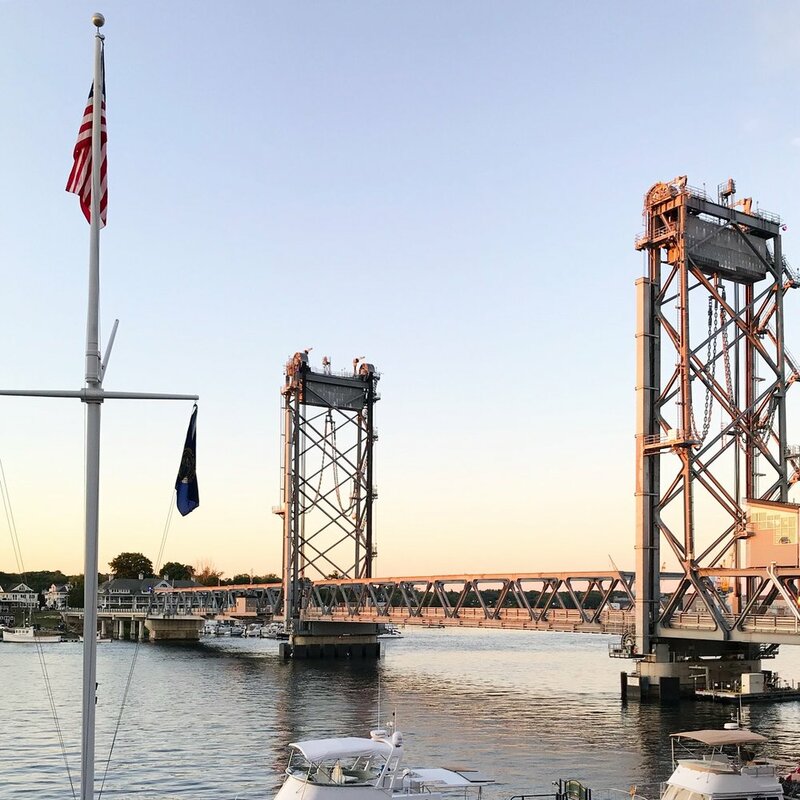 The post-sail views of the Memorial Bridge… what a beautiful place to call home!